Do you want to use YouTube for business? Want to learn how to script and produce YouTube videos for your business? To find out how marketers can develop a business channel on YouTube, I interview Sunny Lenarduzzi. In this episode, I interview Sunny Lenarduzzi, a video marketing expert. Previously she was a TV news reporter and the host of the Social Update from Hootsuite. Now she produces regular videos focused on social media, creates online courses, and helps her clients find success with YouTube. Sunny Lenarduzzi shares insights from creating her own business on YouTube. 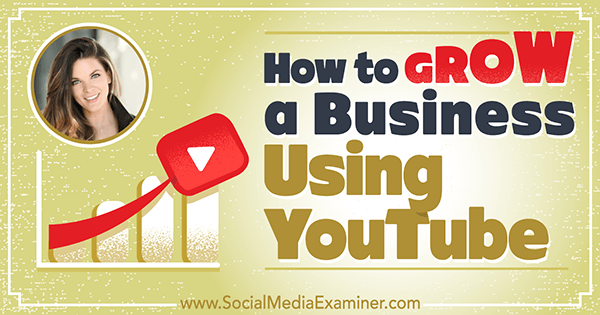 You’ll discover how to use social media to drive traffic to your YouTube channel. 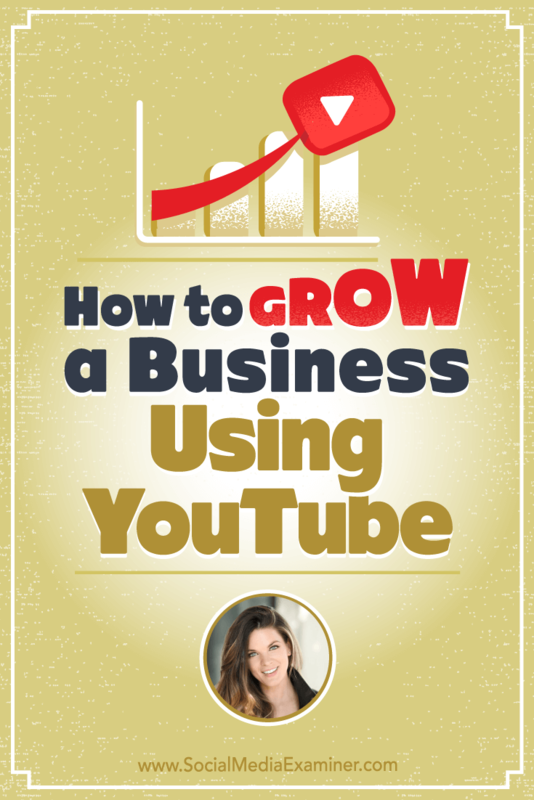 How to Grow a Business Using YouTube featuring insights from Sunny Lenarduzzi on the Social Media Marketing Podcast. Sunny has a background in traditional media (broadcasting, television, and radio), but fell in love with social media in the early days of Facebook and Twitter. She started an online magazine and after building the brand organically using YouTube and other social media platforms, she ended up with a social media consulting business. When Sunny noticed she was routinely getting the same questions from her clients (such as how to build a Twitter following or how to use Instagram video), she started using YouTube FAQ to record and send the answers to clients. Her first video tutorial now has almost 80,000 views. Today, her channel (started in March 2015) has amassed over 60,000 subscribers and 3.8 million video views. Listen to the show to learn more about how Sunny came to partner with Hootsuite on the Social Update. It’s all the about email addresses. The biggest thing to remember, Sunny says, is that YouTube is a social media platform. She reminds listeners that social media algorithms change and you can’t always rely on social media reach to get your message out. That’s where an email list comes in, and she notes that YouTube is vital to growing your email list. For example, Sunny created a tutorial on How to Get More Views on YouTube, in which she offers a free YouTube SEO checklist. Every week, she gains about 200 email subscribers from that one video. Sunny explains the importance of helping your videos rank on page one of Google and YouTube search, and shares that the first 24 hours of a video’s life are vital in determining where the video will rank. For this reason, when she has a new video, she spends that first day driving people directly to the video on YouTube. Sunny credits getting ranked on the first page of Google or YouTube search results with the growth of her business over the past year. People found her videos when they were searching for help on certain topics such as how to use Snapchat, Twitter, YouTube, etc. Answering questions related to these topics introduces her to potentially thousands of new people a day, and capturing the email addresses of those people grows her potential customer database. Sunny shares that she uses a customized Leadpages link, designed in the same branding as her website, to collect her leads. Sunny has a free download available that leads fans to an opt-in form. Sunny says to create your freebie based on what you eventually want to sell. Make it a guide, a checklist, or an ebook. If writing isn’t your strong suit, there are other options to use for the freebie, such as audio training or short video courses. For example, Kimra Luna offers a two-day video mini-series for her Rock-It With Webinars. With the right freebie, whether you get 10 or 100 hits, you’ll have a targeted audience interested in what you have to sell. Listen to the show to hear more about landing pages for freebies. Sunny says the best way to gain momentum on YouTube is to pick educational topics because the platform is a search engine. Think about creating how-tos, tutorials, and reviews, but don’t necessarily focus on your business niche, Sunny adds. For example, a restaurant can do recipe videos or wine reviews. Sunny herself started with social media tutorials and now talks about entrepreneurship, technology, equipment, and video marketing. Sunny creates video marketing videos in addition to her social media tutorials. To gain momentum and diversify, there are three main content tiers every company should focus on: educational content that teaches your audience something, inspirational content that motivates your audience or makes them feel something, and community-building content that focuses on your members and shares user-generated content. The best way to figure out which kind of content you should create for your audience is to pay attention to your analytics; see what’s working and resonating and ask questions. Sunny says she often listens to her audience to find out what they want her to talk about, as well as what trends they’re noticing and experiencing confusion about. 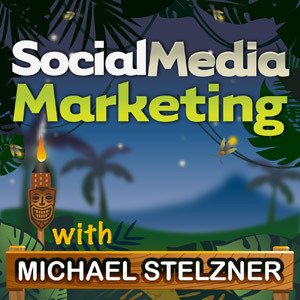 Listen to the show to discover how Social Media Examiner embraces a similar educational content strategy. Research often starts with frequently asked questions, Sunny says. People in business are asked questions every day, but don’t necessarily realize the value in the information they share. If one person is asking a question, there are a hundred other people who want that same answer. 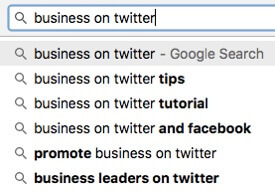 If you don’t yet have a customer base asking questions, look at the websites and social media profiles of people who have an audience similar to the one you want. Check out the comments or FAQs and write them down. A Google search reveals further Q&A topics. Next, cross-reference the items on the list with Google and YouTube search. Type the first couple of keywords from each into the search bar, and 10 suggestions will pop up. Those are the 10 most popular search topics around that keyword so write those down too. Then, cross-reference the list again with the Google Keyword Planner. Sunny uses that to make sure the title and keyword for every video have search volume behind them. If you do your research, Sunny says, you will know if there’s a built-in audience for your content. Listen to the show to hear something else you can do to find great topics. Sunny recommends preparing your intro and a few bullet points for each key piece of your script and filming your video in sections. Record your intro as many times as you want until you have the right take, Sunny continues. Then do your first bullet point in one take, then do the second point, and so on. This method is faster than trying to record the whole thing in one take and makes editing easier; you can hide transitions with B-roll, which is supplemental video that goes with your voiceover. Since people are looking for specific information and may not know who you are, it’s important to get into the content of the video as quickly as possible. For instance, if you’re doing an educational video, use the first 10 to 20 seconds to introduce yourself and say what you’re going to teach. The meat of your content should be two to three minutes long. Sunny says tutorials can be a little longer, but emphasizes that it’s important to keep them concise. Create concise tutorials for your audience. End your video with two calls to action. Use the first to drive people off of YouTube to your conversion site. For example, send them to your free download to build your email list. Use the second call to action for engagement. Ask viewers to like the video, leave a comment, and subscribe to your channel. The more engagement you get in the first 24 hours, the more YouTube and Google will view your video as high quality and deserving of a high rank. Listen to the show to hear why Sunny favors notes rather than a teleprompter. First, Sunny shares every new video with her email list in the first 24 hours after uploading it. Every Tuesday, she sends out an email that offers insider tricks and tips related to the video, as well as a personal anecdote. She also invites people to write her back. That way, she can build relationships with her audience. Next, Sunny uploads a 15- to 20-second native video teaser to her Facebook page. Native video gets more reach than posting a YouTube link. Toward the end of the teaser, she tells people to go to YouTube to watch the full video and includes the link to the YouTube video in the description. Sunny loads a native video teaser to Facebook for better reach. On the first day, Sunny posts the link to her YouTube video three times on Twitter. She monitors those links to find the two that perform best. Those get posted twice a day for the next week, and then twice a week for the next six months. She then posts a story on Snapchat and uses the teaser from Facebook to post on Instagram. Listen to the show to discover why Sunny knew she needed a social media strategy for her videos. About two months ago, Sunny launched Boss Video Branding, which contains 80 video modules. Each one is 20 to 30 minutes long, and teaches everything from how to create a social media strategy to how to use every social media platform. To transition her videos into a business, Sunny built her email list through her YouTube content. She offered free downloads to get people to opt in, and built relationships with subscribers by emailing them every Tuesday with free content. Then when Sunny had something to sell, she had an email list of targeted leads. She also did a webinar for her audience to generate warm traffic as well. Sunny launched her first course completely organically, she adds. She created a YouTube video for it that had the purchase link, and sent out emails to her list about the product. It brought in hundreds of new customers and thousands of dollars in new revenue. Listen to the show to hear the similarities and differences between Sunny’s and my business models. In addition to your Google Analytics account, you can connect other sources of data such as a Google Sheets. You can then drag and drop elements such as bar charts, pie charts, tables, geomaps, scorecards, and more onto the blank canvas. You can even include a data range selector and a source filter in each module. Listen to the show to learn more and let us know how Google Data Studio works for you. Learn more about Sunny on her website. Connect with Sunny on Facebook, Twitter, and Instagram. Join Sunny’s Be Your Own Boss Mastermind Group on Facebook. Watch the Social Update from Hootsuite. Take a look at Sunny’s first YouTube tutorial and the one on How to Get More Views on YouTube. Get the YouTube SEO checklist. Check out Kimra Luna’s Rock-It With Webinars. Take a look at Google Keyword Planner. Watch Sunny’s Facebook video teaser and the related YouTube video. Learn more about Boss Video Branding. Take a look at Sunny’s YouTube For Bosses video. Check out Google Data Studio. What do you think? What are your thoughts on growing a business with YouTube? Please leave your comments below.